Content marketing is all about writing the best content and letting it bring value to your brand. Good content can increase your brand visibility, strengthen your brand reputation, funnel more traffic to your website, and encourage more visitors to convert. Do you know how to write well or will you hire someone who does? Do you have a blog strategy and distribution plan? Once you’ve answered these questions, you will have a pretty good sense of whether or not you should start a small business blog. If the answer is yes, then you’re in luck. This ebook will walk you through everything you need to know to start a blog. We’ll talk about small business blog ideas, how to promote your blog posts, how to earn money from your blog, guest blogging best practices, and more. There are seemingly endless tutorials which promise to help you “start a blog in 10 minutes,” and while they might be accurate in their instruction, they can be horribly misleading in their implication. While everyone loves quick and easy, just setting up the platform for a blog hardly launches you on a path to blogging success. As many would-be bloggers could attest, having a platform does not mean you’ll use it, and it certainly doesn’t mean you’ll use it correctly. The good news is that you can start a small business blog in seven days or less. The foundation for each of these can be developed in just a few days, but you have to buy into the belief that a blog is a commodity in your business, and it will take much longer to grow and sustain long term. For the sake of simplicity, we’ll discuss how to build a blogging platform using WordPress, and we are assuming you already have a website up and running. Do you want your blog on the homepage? Do you want a static homepage and the blog in a separate tab? By default, WordPress puts all blog posts on the homepage. Assuming that is not how your website currently functions, you will need to add another page to your site for the blog to live. Go to your Wordpress Dashboard and click Pages, then Add New. On the right side, under Page Attributes, you’ll see a Template option. Keep in mind that the drop down may look different for different themes. If there isn’t a Blog option in templates, like in this example, you will select the Default option. Your blog is now live on your site, but you have to ensure your posts publish to the blog page, so go to Settings and click Reading. If you are keeping your homepage static, you’ll want to make sure WordPress knows that. Since WordPress defaults blog posts to the home page, you’ll have to tell it not to do that in order to keep your homepage looking the same. For the Posts page dropdown, you will select “Blog.” Make sure you click Save Changes. Now that the blog is live and the functionality is working properly, visitors to your site need to be able to find it. The best way to do this is by adding it to your main website navigation. Go to Appearance and click Menus.All of your pages will be displayed on the left, while your navigation menu is on the right. Select “Blog” and click Add to Menu. You can drag and drop the menu order to change how it appears on your home page. You now have a blogging platform, and it’s ready for posts. If you would like to watch a video about how to create a static homepage and a blog page, check out this WP Beginner tutorial. If you have a site, but it isn’t on Wordpress, you may want to consult with your developer. It is possible to add a WordPress blog to a non-Wordpress site, but requires some more advanced skills. You’ve completed one of the most intimidating aspects of starting your own business blog: setting it up. Now it’s time to make it look good. ThemeIf you’re starting your blog from scratch, many companies provide an avenue through which you can find themes to begin beautifying your site, but be warned, as the many options can seem overwhelming for a non-design mind. Warning: Those with an existing site can change their theme at any time as well, but if a developer has done a lot of work on a site for you, changing the theme could cause major malfunctions. If you’re struggling to find the best template, use a few of these tips for selecting the perfect theme for your blog. Tip: Try not to get too hung up on the theme. While it is an important aspect, it’s easy to suffer analysis paralysis. Get an idea for the look you like and pick one that is within your price range or free. To avoid hours of searching, you can browse themes and easily install them right from your WordPress Dashboard by going to Appearance and clicking on Themes. There’s nothing wrong with going for a popular design; it’s popular for a reason. While the technical side of your mind may feel a little taxed by now, knowing the functionalities that allow you to post your first blog entry is important. Critically important. You have to know how to post what you’ve written! As with the other days, you don’t need to know how every button works right away, you just need to know how to format your post, plug in a picture or two and get it published on your site. 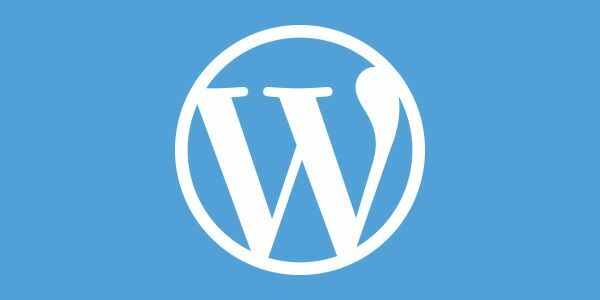 Luckily, WordPress as a content management system (CMS) is intuitive and aligns relatively well with software like Microsoft Word. When you’re ready to publish a post, you will go to Posts in your dashboard, then Add New.You can copy and paste your blog title, as well as the text-based body of your post straight from Word into WordPress. Note: Sometimes formatting in Word, like bullets and numbering, don’t translate to WordPress. To save yourself from duplicating efforts, wait to add the formatting until the post is in WordPress. You’ll have most of the same functions available. Blogging is no small task from a production standpoint, but understanding why you’re blogging might be the most difficult element for small business owners. For the sales-minded individual, letting go of product pushing in exchange for sharing expertise can feel unnatural, but understanding what your blog is for will help you brainstorm content ideas that people are actually going to like and read. Customer service emails and calls: Try to drop the product talk and consider times when customers just need help. What is their problem? Is there a way to help them solve it without pushing them towards a shopping cart? Your customer interaction history is loaded with blog material. 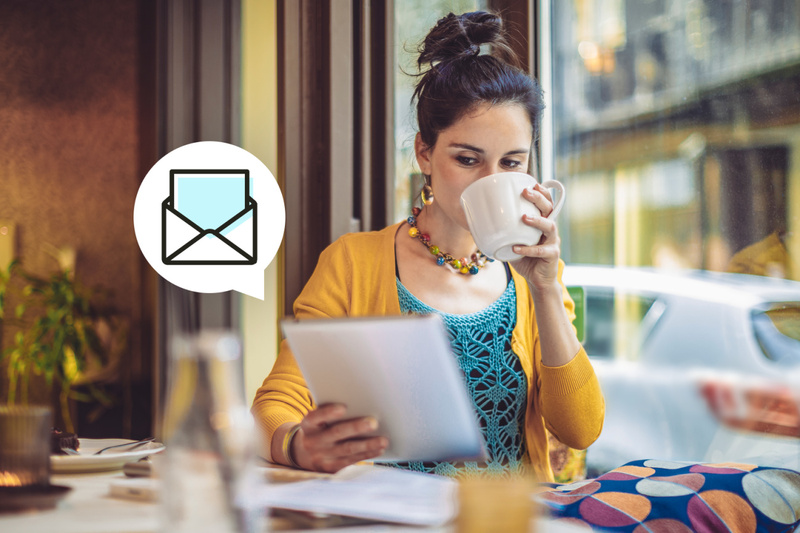 Review some emails and voicemails to identify common trends. Go back in time: Try to recall the time when your company was brand new, maybe even nonexistent. What were you trying to achieve or overcome when you began forging your small business? Write down all of the pains, promises, and fears that are reminiscent of that initial period. Scope out your competitors: No one is asking you to bring brand new information to the world via your blog, so there is no shame in observing what kind of content your competitors are creating and following their lead. Before you begin regular post publication, come up with 20 topics. While it’s nice to know what your first post will be about, think ahead and seek inspiration outside of selling your product. Crafting a business blog can be tricky for writers and non-writers alike. The tone is professional without being formal. It’s conversational while being authoritative. It’s a style all its own and not one often taught in school. In truth, it just takes practice. Aside from making sure you are writing grammatically correct, typo-free content, there are two main factors to consider when you’re writing a blog post: format and tone. Blogs aren’t essays, reports or letters; they have a look and feel all their own, so if you aren’t a frequent blog reader, take some time to read a few before you begin writing. Get a sense for how bloggers form their sentences and break up information for their readers. Blog post outlineIt’s the oldest trick in the (writing) book, but an outline truly will help you collect your thoughts and execute quicker. Start with your headline or title. Choose something that is purposeful, intriguing, and actionable. From there, flesh out your main points. What will you share? How can your reader use it? What are the readers’ main takeaways? Allowing yourself the space to be broad with your thoughts will open the space for your words to flow better. Think of subheads, bolded statements, and bullet points as the SparkNotes for your blog post. If someone clicked on your post and wanted to get the gist in 30 seconds or less, these formatted lines help. From a visual standpoint, you can easily gather the post’s main points. While today’s tasks will probably take less than an hour to accomplish, you need the day to marinate a bit on all you’ve done. 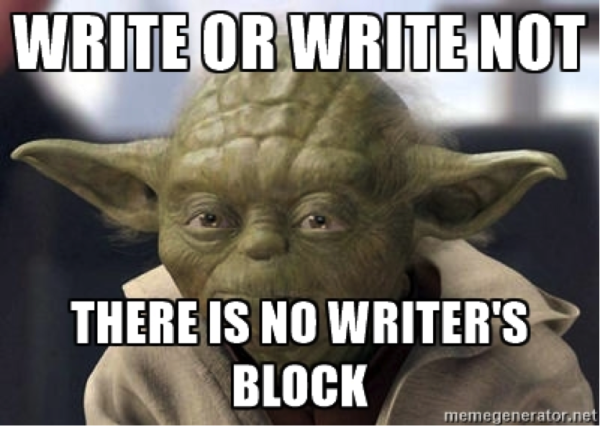 Today your platform building efforts and writing endeavors become one. EditGo through your post critically, but cut yourself some slack since it is your very first blog post. Because you left some time between writing and editing you can be more open to the tweaks and changes that will improve your post. Feel free to revisit it a few times throughout the day. Every read through will result in tiny changes and give you confidence to hit Publish. More than anything, make sure you have caught all typos and grammar issues. UploadUsing what you learned on Day Three in the CMS, load your post and format it to your liking. Don’t forget to Preview before you’ve settled on a final draft. It’s always important to see how your post looks once live on the site, since additional changes might be required. By today you should have a blog post live on your site. Congratulations! Introduce your content to the world by promoting it to one of your existing audiences, whether that is through a social network, your website, or another platform. Down the road, your promotion will expand, but for the first publication, stick to Facebook or email to bring a little attention to your new blog. Now that you understand the basics of building and managing a blog, it’s time to spend your energy on more post ideas. After all, it’s not enough for your blog to sit with action for months or only add new content that’s a poorly disguised pushy sales post. A strong blog doesn’t simply sell—instead it proves to your customers why you stand apart from your competitors. Here are ten business blog post ideas that can build awareness and strengthen relationships. Customer success stories: When you receive a good testimonial from a happy customer, get permission to use it. You can turn it into a blog post that will solicit more customer stories and show visitors that are new to your blog how great your business really is. Play off someone familiar: Mention a musician or popular actor, and you readers will take immediate interest. It will help build trust and create an instant connection between you and your readers. Mention a popular post: If you stumble upon a popular post that has gained a lot of attention, write something that bounces off of it. Share your point of view and make sure you link back to the original post. Don’t forget to share with that blogger that you commented on what they wrote. This also opens up the possibility of a content exchange arrangement. Discuss trends: Establish your authority by discussing and commenting on industry trends. You convey credibility when you acknowledge the evolution of your trade. Share snippets of upcoming plans: A sneak peek at future plans for your business is a good way to reel your customers in. It will pique your reader’s interest and leave them wanting more. Create an infographic: To create a post that will get a lot of shares, make an infographic. 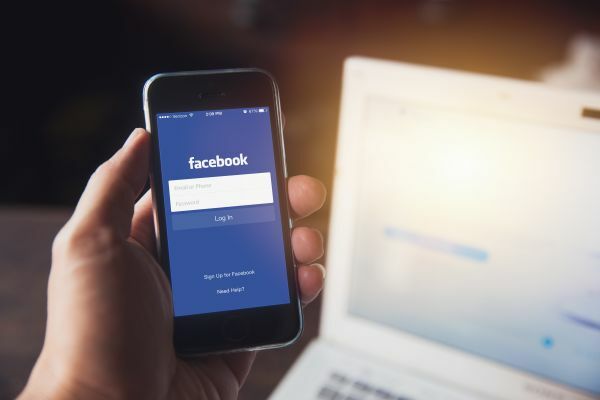 Posts that are fact-filled gain a lot of attention on social networks, which can drive people back to your site and let them see what your business is all about. Share your community involvement: If you give back to your community, humbly share your experience. If you cleaned up a park or served food at a local soup kitchen, post a video of you and your team hard at work. Be inspiring: Oftentimes, people just want to feel good. Write about something you found inspiring in the last few days or take some time to share how you stay positive during the workday. **Create a series: **If you want to delve into a topic, break it up into several posts. Or select a day each week or month that you cover the topic. This is a great way to get your casual readers to become regulars. Share hints and tricks: Give readers suggestions and hints on how to best use and maximize what they get from your product. These tips could come from the customer service team, the product team, or customers themselves! By now, you’ve established a rhythm of posting, and you feel good about your blog as a resource for your current and prospective customers. But now you're wondering how to promote your blog to get more traffic and exposure for your brand. In order to cut through all the clutter and gain exposure to your great blog content, time, and resources must be invested into content amplification. Organic social media consists of posting to your personal networks, posting in groups, and posting on your business pages. Social media is all about authentic conversations and co-creating value, but make sure to choose the right social platform (meaning, don’t post to Facebook if your target audience doesn’t actually spend time there!). Determine which platforms your target audience are using, then start building your social media presence on one or two of them to start. Research the best practices of that social platform and learn how it works to best interact with your target audience in that environment. For example, use hashtags strategically on Twitter, but don't use hashtags on LinkedIn. Once you master those two main platforms, expand from there. Once you master organic social media, you may want to try Facebook or Twitter ads. These ads allow you to promote your content to targeted audiences based on their interests, location, workplace, and much more. You can run targeted ads to only that specific segment of users. Email is a great way to get a new blog post out to the world quickly. Send your best content out to your subscribers in an email broadcast. Write a short teaser paragraph and include a link to the content that's live on your blog. Segmenting your email list is essential to keeping your communication relevant and ensuring you are promoting your blog posts to the most targeted audience possible. You could also curate your best content and include links to three to five of your highest performing blog posts in your monthly newsletter. If you don't have a newsletter, think about other types of communication that you are sending out and get creative on how you can include links to content in that communication. This is a very simple way to maximize the exposure and consumption of your content. Different people prefer consuming content in different ways. Some people are more visual or more auditory than others, and they prefer to listen to a podcast or a video blog. And the good news is that once you create the piece of content once, it’s much easier to repurpose it in different formats. SlideShare: Turn your blog post into a 10-slide PowerPoint presentation and upload it to SlideShare. Start with a cover slide, one slide for each of the steps, a page with a call to action, a link back to your blog post, and an "about" page for your company, product, or service with a link to more information. Video: Shoot a high-value video and upload it to YouTube and be sure to optimize your video with SEO keywords to generate maximum organic traffic. Place a link to the written blog post in the description of the video to make it easy for people to find. Once your video is uploaded, you can embed it within your original blog post and share it on your social channels. Direct mail: Have you ever thought about printing your blog post out and mailing it to prospects or a specific segment of your customer base? Although it's old-school, it's still a very effective way to get a message in front of people. Some of the most famous internet marketers in the world also use direct mail campaigns to drive traffic to their website. 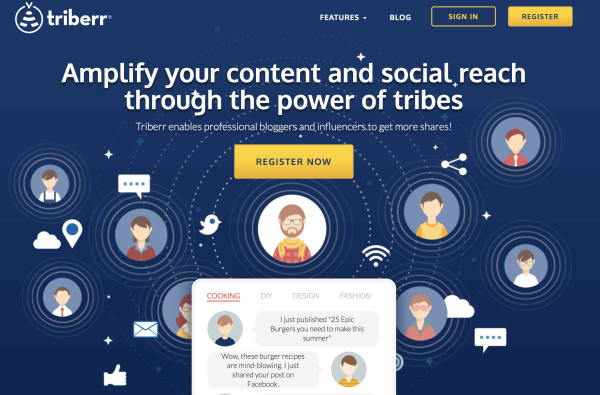 Join a blogger community like Triberr: Triberr is an incredible resource and community that was designed specifically to amplify content to targeted groups of people, called “tribes.” Register for an account, add your blog, find a tribe, and begin sharing your blog posts. A lot of small businesses face the same problem: you write a blog post, tweet about it once or twice, and then let it sit to die in your blog archive pages. You may see a spike in traffic for a few days after you publish the post, but after that, nothing. Increasing traffic will always be a critical part of your blog strategy, and a very difficult one. Your blog should be instantly recognizable. Just as your tone of voice should differentiate you from the crowd, your posts should stand out, too. Think about your appearance and styling. If your readers like the way your articles are presented as well as what they contain, they’re going to come back to you. You should also consider the timing of your posts; if visitors know you post on a particular day, you can become a part of their reading habits. Do you want to be digestible enough to feed the content desires of people on the move? Then break up your posts with subheadings, lists, and simple charts. What if you want to really examine a subject and provide analytical minds with a detailed study? Go long-form and include visual examples. Whatever you do, be consistent. The styling of your text, alignments, and headings will not only act as an extension of your branding, but also provide returning visitors with a warm feeling of familiarity. It’s important to know and cover your specialist areas, but be conscious about the variety of your blog audience. It’ll include passive browsers, complete strangers, and potential customers. Your comprehensive guide on a specialist field could make you more of an industry authority. That post about your Christmas party could show the character that wins people over. Don’t be afraid to mix in company updates with actionable insights. Most people already have their favorite publications. Unless you’re the best at something or have a unique angle, first-time visitors won’t regularly come back to you. By harnessing the people in your company and providing a platform for them to express themselves, your blog can become a real asset. So show an interest in your colleagues’ work and run through ideas while you’re both waiting for the microwave. As with all marketing, ROI and measurement are important. Knowing that your methods are working is also something that should be communicated and celebrated. Information from Google Analytics, SEMrush, and other tools are vital to understanding your blog’s performance. Not only can these tools tell you more basic things like your most popular post or daily/weekly/monthly blog visitors over time, they can also tell you how you are ranking for certain keywords. Armed with this data, you can invest more time and energy into the kind of posts that will do well for your business long term. Guest blogging exposes you and your brand to a new audience, creating more traffic long after you submit that guest post. 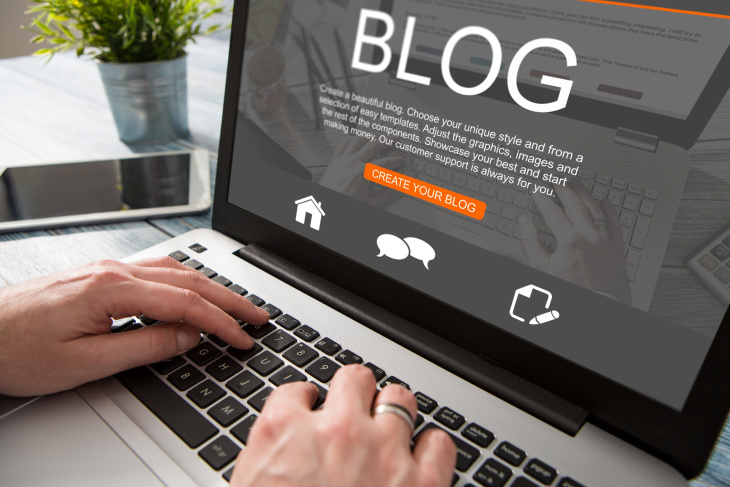 Plus, guest blogging helps your search engine results page and drives greater online visibility overall. What is guest blogging? It’s when you offer to write content for other, similar blogs in your industry. Think of it like another channel to project your thought leadership and raise credibility. Just think of it as the inbound marketing gift that keeps on giving. You’ll be able to turn these new visitors into contacts to add to your other marketing strategies, including any email campaigns, by collecting their name and contact information. In this way, guest blogging becomes the fuel for increasing the leads in your pipeline. Focus on relevant and informative content that delivers enough value to readers that they want to come visit your blog to learn more. Spend time reading the other guest posts on the blog you want to pitch to get a flavor for what is included. If necessary, take extra time to do more research about the blog and company behind it. Respect and follow the blogging rules that a blog may have established for its guest blog posts. Make sure you know how to use the blogging software and technology that the guest blog wants you to use for submission. Include a call-to-action or other interesting closing for the reader like a question so that it leaves the ball in the reader’s court to actually do something now. Position your personal and company brand in the best light possible, highlighting those attributes that resonate with the audience. Include a brief bio, contact information, and link to your company blog to make it easy for readers to reach out to you. Look for ways to establish relationships with other credible experts who can supply you with their insights and data to include and attribute to in your guest blog posts. Don’t sign up for too many guest posts right away but instead work slowly into the process. This will also help you assess how each guest blog post has worked for you before you continue posting repeatedly for that particular blog. It’s good to experiment with a few different guest blog spots to diversify who you reach and what traffic you send to your blog and website. Don’t forget to also consider taking guest blog posts from others as long as they adhere to the same tips above and deliver high-quality, original content. With the ongoing demand for informative content, it’s beneficial to receive content from others to rapidly expand the content on your site because it will attract your audience to return frequently as well as boost your SEO results. Small businesses must often get creative to generate more revenue for their businesses. When you’re putting so much money into different aspects of a company, it’s important to get as much revenue from your efforts as possible. Your blog offers one opportunity to monetize your business that many entrepreneurs don’t consider. Though it may never reach the caliber of bloggers who revolve their businesses around content creation, you can still bring in some capital to help cover your primary expenses. Build a great blog platform: Blogs that make money aren’t run-of-the-mill content factories that offer little value to the reader. They’re well designed with high-quality content that readers can actually use. The subject matter should reflect your industry, indirectly sell your content, and inform on current news and trends. It’s a blog that’s useful on multiple levels. Use your blog to sell products: The most obvious way your blog can turn hard work into money is through sales pitches in blog articles. Write blog posts or produce videos that explain the benefits of using your products and services. Though it’s okay to do a few highly promotional blog posts, make sure there are many articles published on the blog that are more informational than promotional. This will generate new readership and boost your search engine rankings without spamming the reader. Accept sponsored posts on your blog: Sponsored posts are from outside sources that explicitly advertise a business. Companies will pay top dollar to publish a sponsored post on your blog if your online presence is clear. The catch here is you need a great online presence to begin accepting sponsored posts. You’ll need time to develop and foster relationships with your readers so that, when affiliated posts begin rolling in, your readers don’t scatter. Allow advertisements on your blog: This is one easy step that many businesses are afraid to allow because advertisements for products and services can take visitors away from their web pages. There’s also the concern that advertisements will challenge the authenticity and credibility of the blog. These are valid concerns, but they are easily controlled. First of all, never solicit advertisements from a competing business. Doing so will definitely take traffic away from your blog and potentially steal your customers. Secondly, it’s your blog, and you have control over the spam factor. If you feel that your blog is being overrun by advertisements, pull a few out. Work with a designer to develop a strong balance between advertisements and your content to avoid compromising the effectiveness of the blog. When it comes down to it, your small business blog can be an expensive time sap if done incorrectly. Or, it can be a worthwhile investment that rakes in more cash than it costs. Your best move is to consistently offer useful content and information that attracts the kind of visitors you hope to turn to customers. A good blog will boost SEO results, establish credibility, and drive more visitors to your site. So start writing. We’ll be waiting. You want to grow your business. You want to see your wildest dreams for your company come true. But you’re caught up in the daily scramble to get work done. Let this ebook guide you to the success you want to achieve.